I cannot imagine where my life would be if I’d had my act together like this teenager when I was his age. Sorry everybody–I might’ve stopped global warming, but I kinda needed to go skateboarding and hit up the mall arcade when I was 13, so I didn’t quite get around to it…Hopefully Bilaal can take up some of my slack. 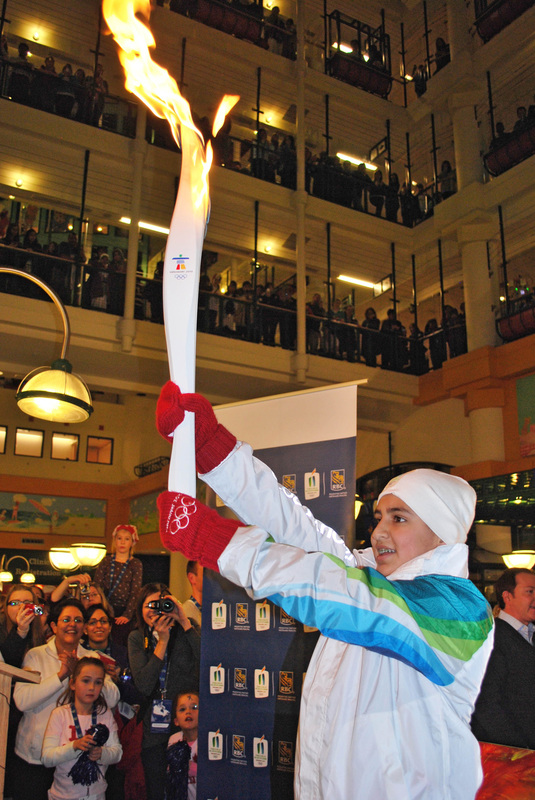 Bilaal Rajan is a 13-year-old activist from Toronto who is a UNICEF Children’s Ambassador, a best-selling author—Making Change: Tips from an Underage Overachiever (160 pages, Orca Book Publishers), fundraiser, and he just carried the Olympic flame through his city last week. He ran through the freezing temperatures to help raise awareness of child poverty in developing countries. “Too many young people in the world today lack basic necessities such as clean drinking water, health care, and education,” he said, bringing a big ol’ lump to my throat. His main mission is to show us that we can make a difference in the world, no matter our age. And wise old man that he is, he ought to know. He started down this vaunted path at the age of four when he started selling oranges door-to-door to raise funds for the victims of the Gujarat, India earthquake of 2001. At seven, he founded an organization: Making Change Now, to heighten awareness of environmental issues and youth advocacy. He’s already raised millions of dollars for his causes–and by his causes, I, of course, mean OUR causes. His newest venture is a nice blend of online gaming and philanthropy. At his website, SudokuHub.com, users play the addictive numeric-based puzzle while raising funds to provide food for malnourished children in developing countries.